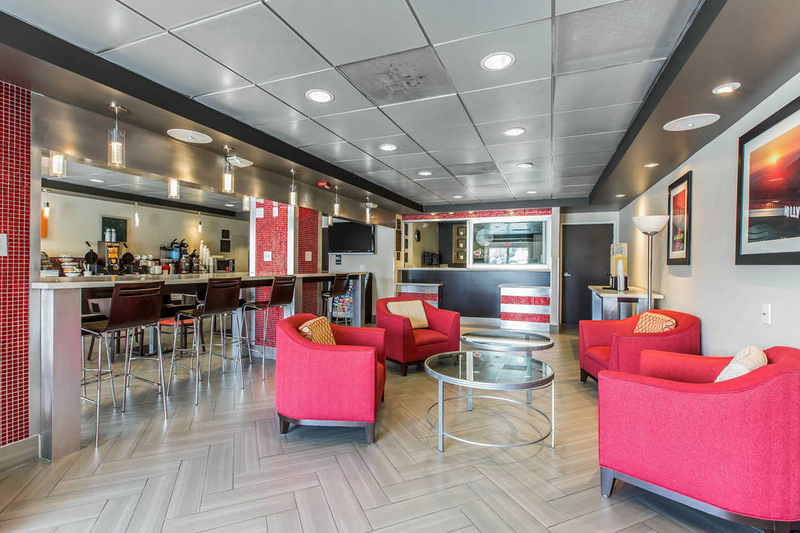 Comfort Inn Downtown Hollywood Los Angeles Hotels, Los Angeles CA Hotel Hollywood BLVD. 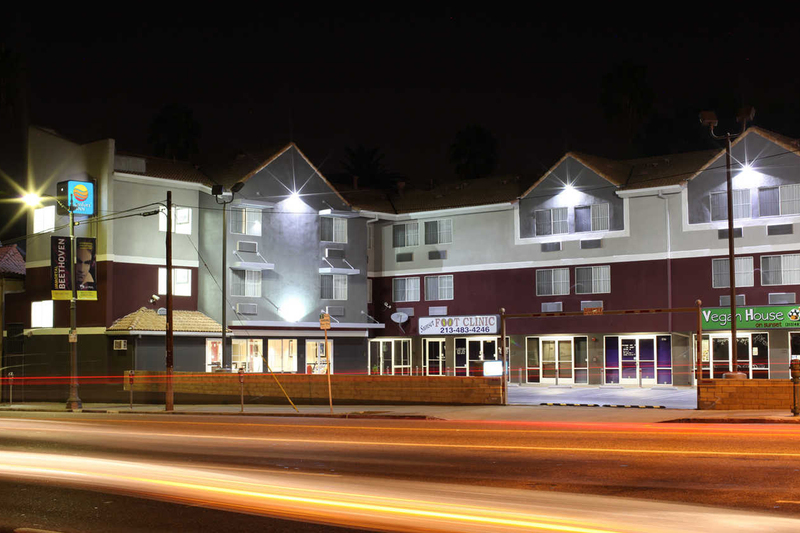 Welcome To Comfort Inn, Downtown Hollywood Hotels Los Angeles. 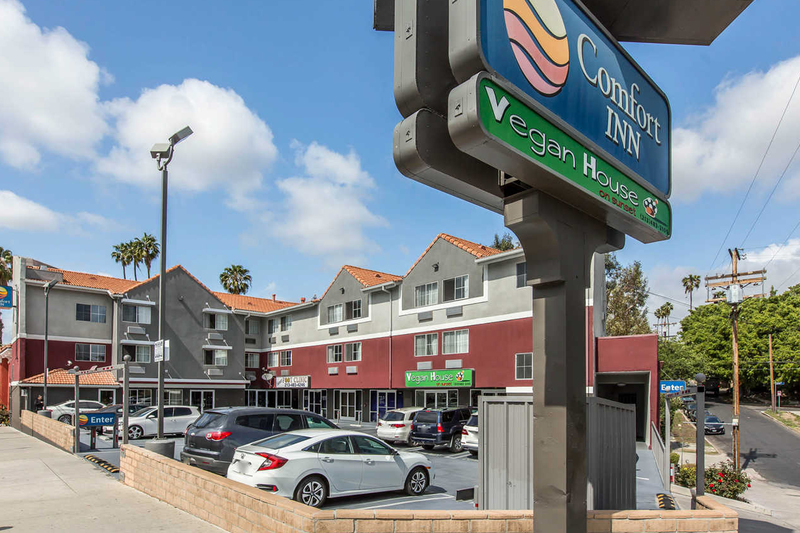 The Comfort Inn hotel is perfectly located on famous Sunset Boulevard and centrally located between Hollywood and the downtown area. Grauman's Chinese Theatre, Dodger Stadium, the Staples Center, Universal Studios Hollywood and Los Angeles Convention Center are minutes from this Los Angeles, CA hotel. Additional area attractions include Rodeo Drive, Griffith Park, Griffith Observatory, Los Angeles Zoo & Botanical Gardens, the Hollywood Sign, Hollywood Walk of Fame, The Greek Theatre, Chinatown Los Angeles, Los Angeles Union Station, Kodak Theatre, Los Feliz Village, Olvera Street, the LA Fashion District and the LA Jewelry District. The hotel is 30 miles from the Los Angeles International Airport. A variety of restaurants and cocktail lounges are nearby, as well as state and federal government offices. The hotel also provides sight-seeing tours that depart daily. 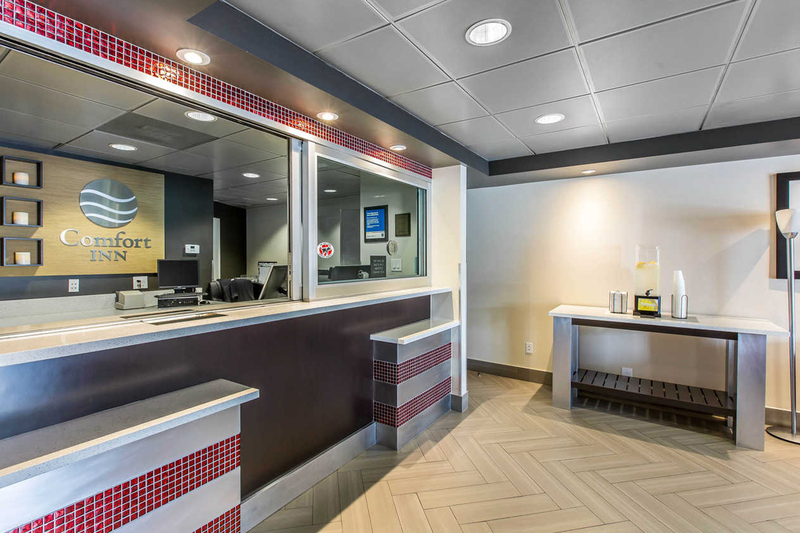 For business travelers, this Los Angeles, CA hotel provides conveniences like copy and fax services and computer hook-ups. In addition to standard amenities, all guest rooms feature refrigerators, microwaves, coffee makers, hair dryers, irons, ironing boards and free HBO. A baggage hold is available. 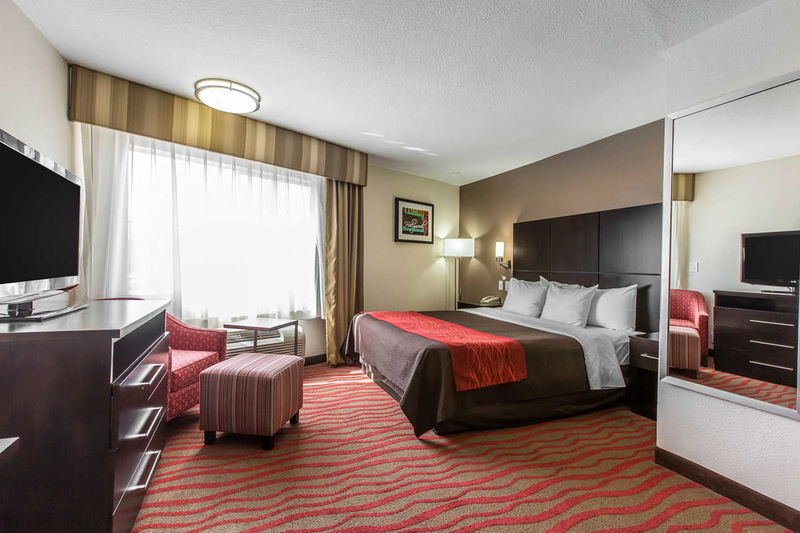 Non-smoking and handicap accessible rooms are also available. 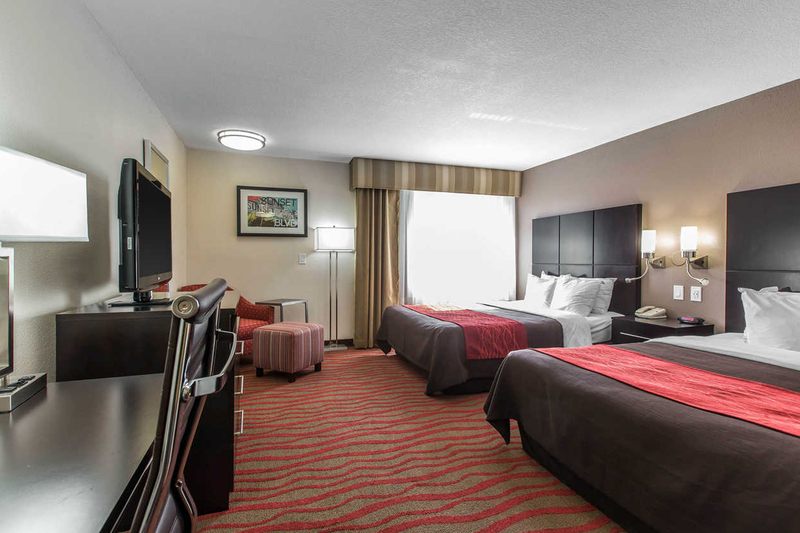 Whether traveling for business or pleasure, the friendly and knowledgeable staff, affordable accommodations and convenient location make the Comfort Inn a perfect hotel for anyone visiting the Los Angeles area. 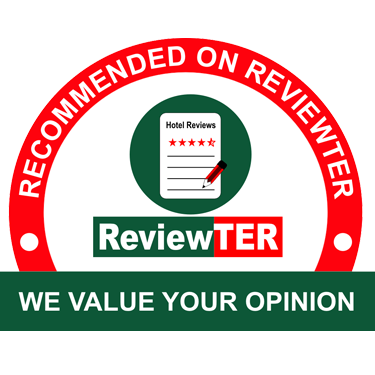 This website is owned and maintained by Comfort Inn Downtown Los Angeles Hotel, a licensed user of certain proprietary trademarks and service marks of Choice Hotels International, Inc.